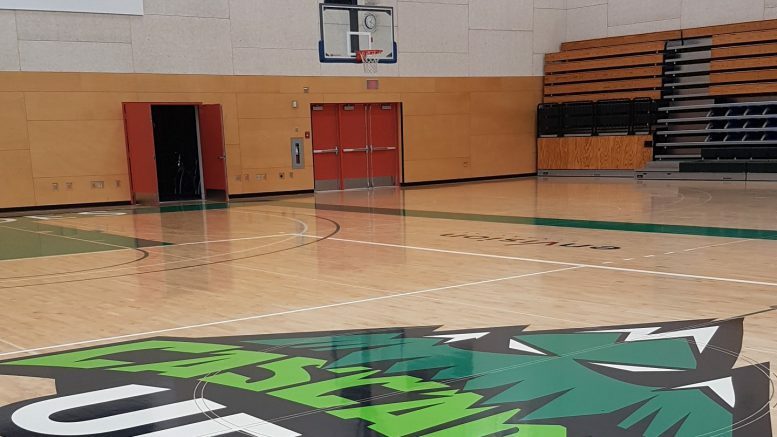 A victory on the last night of the regular season gave the University of the Fraser Valley women’s basketball team a new lease on life. They’ll try to make the most of it on Friday, when they open the Canada West playoffs on the road vs. the Victoria Vikes (7 p.m., CanadaWest.tv). The winner of the one-game play-in advances to the conference quarter-finals. As the conference’s lowest playoff seed and playing on the road, the No. 12 Cascades will be considered the underdog against the No. 5 Vikes. But that fact, combined with the dramatic circumstances surrounding their playoff qualification – they needed a win last Saturday over Manitoba, plus a Brandon win over Thompson Rivers, to punch their ticket – means they can play unencumbered by the weight of external expectation. The Cascades are led offensively by the trio of Shayna Litman (17.2 points per game, 7.8 rebounds per game), Sara Simovic (14.9 ppg, 2.8 apg) and reigning Canada West female first star of the week Taylor Claggett (13.8 ppg, 9.7 rpg). Fellow starters Amanda Thompson and Kate Head lead a supporting cast which will need to provide secondary scoring and a strong defensive presence to knock off the high-octane Vikes. The Cascades did not face the Vikes during conference play this season, but they hosted them in an exhibition series back in October. 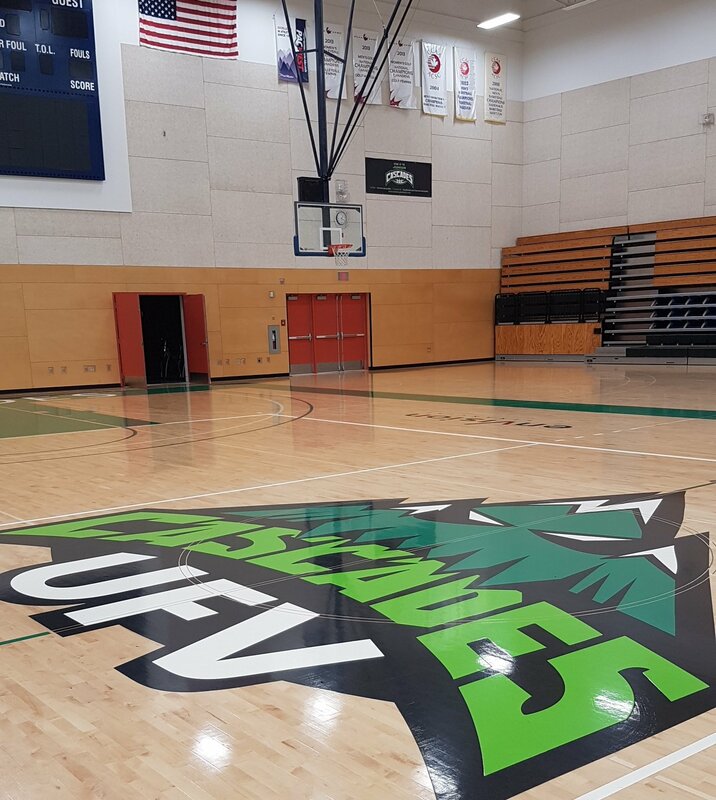 UFV prevailed 72-60 on Oct. 13, but the Vikes bounced back for a 58-41 triumph the next night. Indeed, the Vikes are an outstanding offensive squad, led by their dynamic backcourt of Amira Giannattasio (17.9 ppg) and Kristy Gallagher (17.8 ppg). They rank sixth and seventh, respectively, in Canada West scoring. University of the Fraser Valley wrestlers have medals on their minds this week as they travel to Edmonton for the Canada West championships. The event, hosted by the University of Alberta, runs Friday (starting at 2 p.m. MT) and Saturday (starting at 9:30 a.m. MT). Both Cascades teams are ranked nationally – the men are at No. 4 in the U SPORTS poll, while the women are No. 7 – but head coach Raj Virdi feels they’ll be hard-pressed to earn a team banner because they don’t have entrants in every weight class. The youthful UFV squad, though, has a group of outstanding athletes who should challenge for multiple individual medals and potentially for a podium position in the team competitions as well. Canada West individual medalists all qualify for the U SPORTS national championships, Feb. 23-24 in Sault Ste. Marie, Ont. Eleven Cascades will be competing in the championships. On the men’s side, reigning Canada West and U SPORTS heavyweight champ Brad Hildenbrandt (120 kg) leads the way. The third-year grappler from Surrey, B.C. will be joined by sophomores Haseeb Javed (68 kg) and Kamil Golowko (100 kg), and rookies Parker McBride (54 kg), Jacob Torres (61 kg), Karan Dhillon (72 kg) and De’Andre Williams (76 kg). On the women’s side, the Godinez Gonzalez sisters – 2017 Canada West rookie of the year Karla (51 kg) and first-year standout Ana (63 kg) – lead a Cascades contingent which also includes Glaysia Sparling (82 kg) and Brittany Chiu (59 kg). “A lot of the rookies are more used to a tournament format, so it’ll be a little bit different for them,” Virdi noted. “Bit it all comes down to, if you win all your matches, you’re No. 1. The University of the Fraser Valley volleyball teams embark on their longest road trip of the season this week, as they face the College of the Rockies Avalanche in Cranbrook, B.C. A 12-hour bus ride doesn’t sound like many people’s idea of a good time, nor does it necessarily promote peak athletic performance. But despite the challenges that the travel can add, head coach Mike Gilray said his squad is looking forward it. “There’s some really cool energy,” he said. “The girls see it as a chance to hang out and bond. They’re excited for this opportunity. The Cascades and Avalanche clashed in Abbotsford back in November, with UFV winning both matches, but Gilray noted that COTR was an injury-depleted group at that point and will pose a tougher test this time around. Players to watch: Cascades first-year left side Amanda Matsui is coming off an outstanding weekend against VIU, earning PACWEST women’s volleyball athlete of the week honours after helping UFV pick up a split. The Port Coquitlam, B.C. product is one of just three players to rank in the conference’s top 10 in total offence (T-second, 4.0 points/set), aces (first, 0.67/set), kills (fourth, 3.15/set) and digs (10th, 2.85/set). On the other side of the net, third-year right side Megan Beckett has been COTR’s offensive engine – she’s sixth in PACWEST in kills (2.93/set) and seventh in total offence (3.28/set). Coming off a weekend sweep at the hands of the CCAA No. 1-ranked VIU Mariners, the Cascades slipped from third to fifth in the PACWEST standings – and out of the top-15 national rankings entirely (they had been at No. 15). They’re within arm’s reach of improving their playoff seeding, though, sitting just two games back of the third-place Douglas Royals (11-9) and one game back of the Camosun Chargers (10-10). Both of those teams have extremely tough schedules to finish the season, taking turns facing VIU and Capilano (both 17-3). This weekend, the Cascades ought not underestimate a COTR squad which is fighting for its own playoff life. They’re tied for the conference’s sixth and final playoff berth with the Columbia Bible College Bearcats (both at 4-18). “We know we’re playing a desperate team,” UFV head coach Kyle Donen said. “They’ll be grinding for set wins as much as they’ll be grinding for match wins, so we expect it to be a battle – and a pretty hostile environment to play in, as well. Last semester the Cascades swept the Avalanche in Abbotsford, winning a five-setter on Nov. 18 and a four-setter on Nov. 19. Players to watch: There are family connections between UFV and COTR’s volleyball programs – Cascades third-year right side Matt Whittall’s younger sister Taylor is a rookie with the Avalanche. The elder Whittall is a key contributor for the Cascades, ranking fourth on the team in both kills (1.67/set) and total offence (1.90 points/set). The Avalanche are paced offensively by sophomore outside hitter Matt Cespedes, who is 15th in PACWEST in total offence (2.89 points/set). Be the first to comment on "UFV Sports Preview – Women’s Playoff Hoops, Wrestling At Canada West Championships, Volleyball"